February would be a really sad month if it weren’t the time of the year when one of the most amusing and extravagant celebrations is celebrated. February is synonymous with carnival, and carnival means laughs, fancy dresses, music and dance nights, parades, surprises and everything you could imagine. In Spain, the carnival is one of the favourite celebrations and, although in many places the tradition has disappeared, in other places it is still one of the must visit events in winter. This is the case of the Canary Islands, where the carnival is the essence of the people. This is why these carnivals, along with the Rio carnival, are the most famous in the world. Tenerife, Fuerteventura, Gran Canaria, Lanzarote… All the islands, to a greater or lesser extent, celebrate a continuous party which extends until almost the end of March. Besides the traditional parades and the election of the queens and kings of the carnival, in all the towns of the Canary Islands we can enjoy all types of cultural activities. If we also bear in mind the wonderful temperature of the archipelago, few destinations are better to plan an amusing and affordable trip in February. One of the most interesting options is to stay in a hotel in the centre of Santa Cruz de Tenerife, where the Carnival of Las Palmas de Gran Canaria is celebrated. Nevertheless, finding an affordable room in Santa Cruz at this point is difficult. This is why we should analyze more the destinations and opt for a coastal area. After all, in this island everything is relatively close if you rent a car. 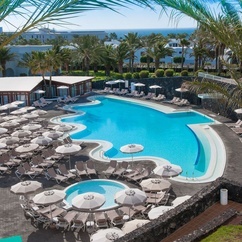 Spa hotel in Tenerife, along with family hotel in Costa Adeje represent a good opportunity since it is still low season in beach areas and hotels have many available rooms at affordable prices. So much so that you can book a hotel with Jacuzzi in Tenerife from 41 Euros per night. In the south of the island we also find the best family resorts in Tenerife, perfect for those in search of family plans in the middle of the carnival ambiance in Santa Cruz. However, the carnival is not only celebrated in this city. For those who want to visit a different island from Tenerife, Fuerteventura is always a good alternative. The area of hotels in Playa de Jandía is one of the liveliest areas during the carnival because of its nearness to the fishing village Morro Jable, which will allow you to enjoy one of the most authentic carnivals, although they are less crowded than in Santa Cruz or Gran Canaria. This has many advantages if you travel with children, since the crowds are not very recommended if you want to have a good time with the kids. As for accommodation, we have many options: there are some of the most complete spa hotels in Fuerteventura, as well as resorts next to Playa del Matorral, Playa Gaviotas or Costa Calma. The activities, like in Costa Adeje, are more varied: there we won’t only enjoy big night parties with friends, but also sport activities, carnivals for children, fancy dresses workshops, traditional customs exhibitions, art and photography exhibitions… A complete pack for a winter holiday week. Who want to go?! The ghost of the deseasonalization has returned tapping his heels through the corridors of the Ministry of Tourism. Knock, knock, knock. He is loaded down with proposals, with a bag of broken promises accumulated over the years and wrinkles on the forehead caused by a reality that runs counter to the words that fill the breast of many politicians. Without going any further, a few days ago, the Balearic Government invested 3 billion Euros for 2015 in a range of 158 projects to promote tourism in the islands, focused on showing the destination as an alternative to the traditional and hackneyed sun and beach. While we speak of deseasonalizing, the most visited areas in the islands close the season earlier and earlier, taking advantage of just enough summer, although in years such as this 2014 the sun and heat have been present well into November. 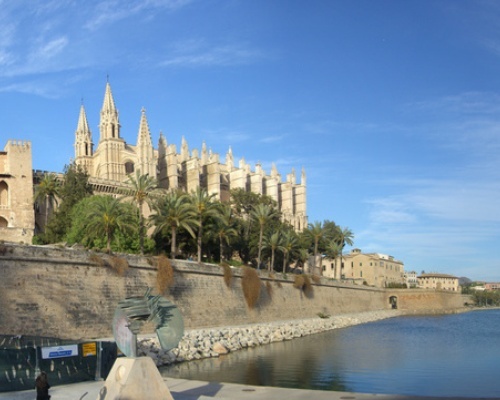 But now there is a city suggesting ways to change: Palma de Majorca. This capital is getting up to date to attract tourists seeking alternatives to the traditional sun-sea-sand. Cultural schedule with events aimed at international audience, hotels in the centre of Palma with boutique aesthetics and close to the concept of “experiential hotels”, as is the case of Catalonia Majorica, just in front of the sea on the Paseo Marítimo in Palma. Moreover, the offer is complemented with new luxury shops, urban spa and sports centres … It is only an initiative that needs to be consolidated but, of course, it must be considered. The rest of Majorca remains stuck in the sun and beach. Nevertheless, some towns like Binissalem or Alcudia have identified their strengths (oenology and sport, in order of importance) and have developed a tourism program that can give people something to talk about all year round. Moreover, this schema change entails a necessary strengthening of the most deep-rooted and home-made local industry, recovering traditions that sun and beach had eclipsed. Gastronomic tours around wine villages of the island, golf tourism promoted by luxury resorts on the outskirts of Palma, with golf courses; cycling in the north of Majorca, the culture and nightlife in Palma, the wellness breaks headed by Adults Only hotels with top level spa services… All them can be considered signs of change to which the administration seems to want to contribute. However, according to the Ministry of Tourism, the focus remains very much centred in major markets (German and British), and in the recovery of national tourism market. 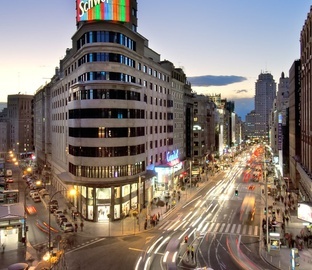 A Spanish market that, according to data provided by the Government, has already improved 10% in 2014 compared to 2013. What is essential is not to consider tourists as part of a market based on nationalities and try to understand the motivations that may lead to a traveler, whatever his country of origin, choosing Majorca and, specifically, Palma to spend his holiday or plan his escapades. With the advantage of being at just two hours from almost any European city, the Palma’s administration should work on attracting all those travellers who do not plan their holiday as an awesome month of sun and beach on the Mediterranean with the whole family wearing an All-inclusive bracelet. The decision is up to the travellers, those who want a destination to spend a long holiday without fixed budget, with the intention of making the most of those 4 or 5 days, trying new experiences and feeling they are part of that destination. These travelers progressively increase their expenses, they usually prefer high quality services. 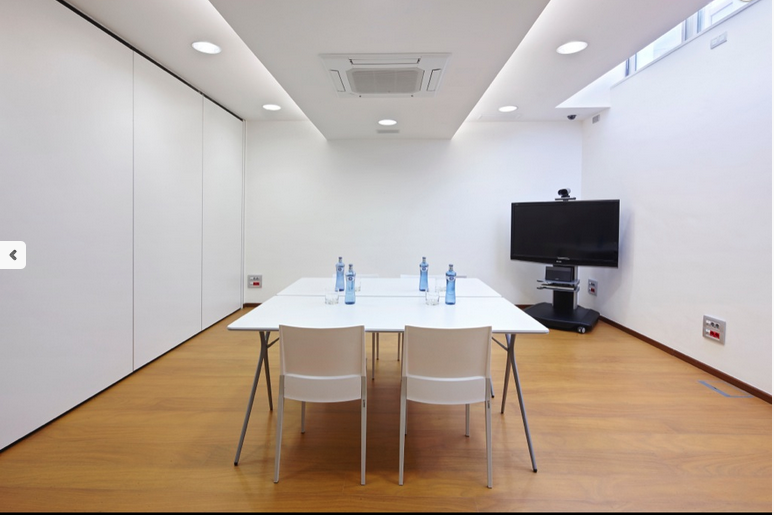 They often opt for booking rooms in the centre of Palma with an upper-middle category or 4 – 5 stars hotels in the surroundings of the capital, such as Illetas, Cala Major, Son Vida and Son Antem. 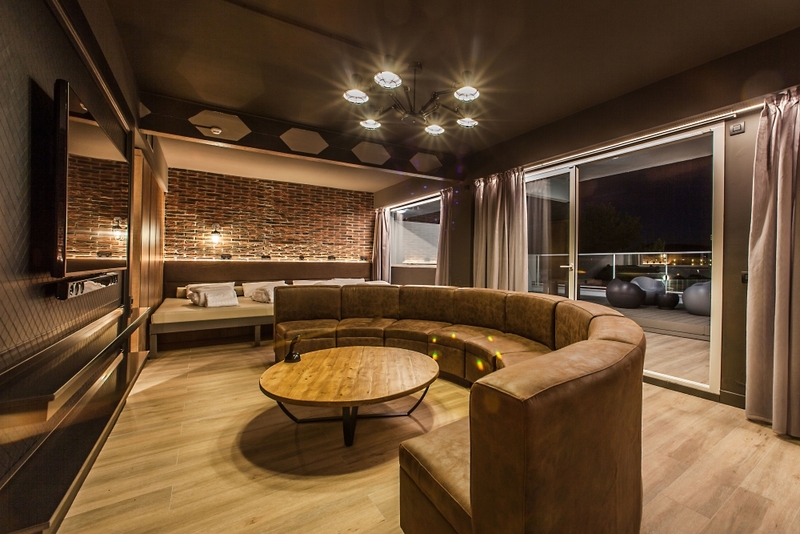 Playa de Palma is still focused on mass tourism, but we must recognize the efforts of private industry which, in the last two years, has invested in refurbishing several hotels in the area, improving their category and specializing them. In this sense, stand out hotels such as Iberostar Royal Cupido, converted into an Adults Only hotel with beach club, brunch, cocktails with afterwork sessions and events to attract not only those coming from other countries but also the residents seeking new spaces for their free time. Family holidays are more difficult to deseasonalize (but not impossible). Children are the ones who set the agenda and the holiday season, which is usually Summer. Therefore, although many hotels for children in Majorca have done a good refurbishing and renewal of its product, the end of the summer season usually marks the end of the holiday: if children are in school, parents cannot travel. It’s that simple. Even though, they have increased their business income by improving their hotel category: higher added value, higher price. And it seems that travelers visiting Majorca are willing to pay that extra benefit, provided that it is indeed an extra benefit. Golf, spa and children are the formula for guaranteed success nowadays in the tourism trade of Spain. Opening or turning a hotel in Torremolinos, Canary islands or Balearic Islands into a golf hotel is almost a synonymous of success: although the market has currently a really complete offer for these sectors, it is truth that all of them are in great demand, and these specialized accommodations have captivated the public and attracted those customers who, maybe more sporadically, decide to try. Hotels targeted at sport tourism or medical tourism, as for example a spa hotel in Fuerteventura or a spa hotel in Santa Ponsa (Majorca), are more and more important on consumer’s mind. They represent, in fact, one of the most sought after and profitable tourism sectors. In accordance with the data of the last Medical & Wellness Tourism Summit celebrated at the end of last year in New Delhi, the figures of this world business was 439 millions of dollars, estimating that, in the next 4 years, turnover figures reach 678 millions of dollars: 16% of world tourism turnover. The third most relevant public in tourism are still the children. Like in other business niches such as clothes and accessories, food or health, the holidays with children are and will be one of the most attractive sectors. Parents always look for the best for their children and spare no expense when they choose an accommodation to stay with the little ones. Comfort, good connections, safety, adapted spaces and services allowing to enjoy the free time while kids have fun are the keys of a good hotel for children in any destination of the world. Hotels in Majorca for children and family resorts in Tenerife, Lanzarote or Fuerteventura are some of the best examples in this sense. In all these classic destinations, they have seen the need for specialized accommodations adapted to the requirements of modern families: more common areas and specific services for every member of the family to enjoy their well-deserved holiday. It is here where these three concepts converge: What is better than a spa & golf hotel with services for children? Although it is not usual, there are more and more hotel chains offering at least one of their accommodations with these characteristics. For example the spa hotel close to Palma managed by Iberostar Hotels & Resorts, its golf hotel in Chiclana or the hotels next to MotoGP circuit in Jerez managed by Barceló. All of them are conceived of to meet the needs and tastes of all types of travellers, so the accommodation is perfect for those who travel as a couple and want privacy, as well as for those who want to enjoy a holiday with friends or a couple of days with children, away from the routine. They are hotels characterised by having 4 and 5-star category, located in top level tourism enclaves, with a wide and natural environment where they can design different experiences: golf courses, beaches, hiking or bike routes… Besides, the areas of rooms, apartments or villas are usually well divided in order to guarantee to the guests the atmosphere they are looking for. The prices of these spa & golf resorts for children are medium-high, but most of them offer special packages with affordable accommodation offers if you book in advance or with All Inclusive. Rates vary depending on the destination: Ibiza, Majorca, Marbella and the Canary Islands are the more expensive ones, and urban destinations are more affordable.